Krissy Jones and Chloe Kernaghan opened Sky Ting Yoga in Chinatown in 2015, and locations in Tribeca and Williamsburg quickly followed. Though you might think that running one of New York’s most popular yoga studios would keep these founders chained to their mats, this duo makes it a point to travel both personally and professionally, hosting yoga retreats around the world. 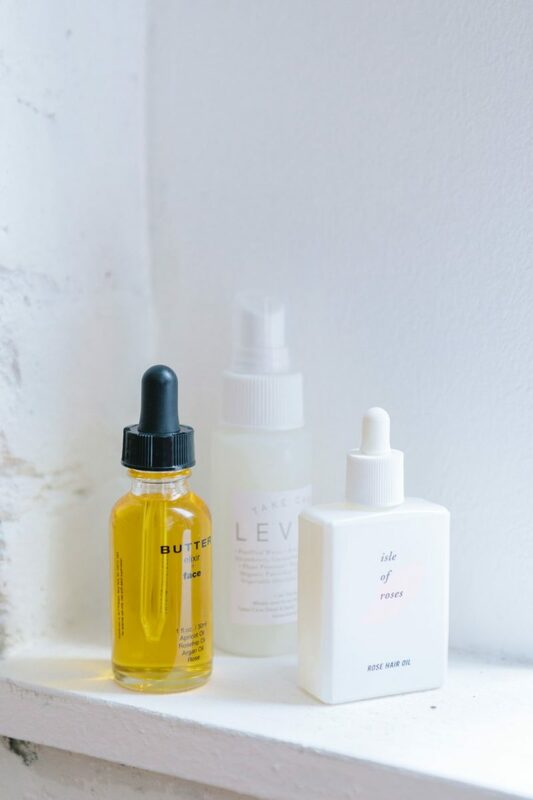 Like most things in their lives, Jones and Kernaghan bring balance to their travels, bookending their work trips with personal adventures, and packing just the right amount of face mists and Moon Juice snacks to stay feeling grounded and healthy during their trips. 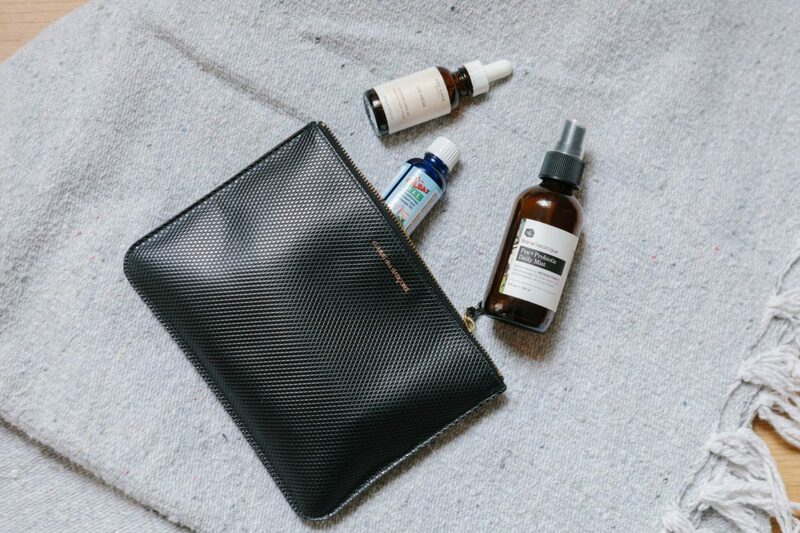 Here, they share where they’ve been lately and what’s in their suitcase. Nike running shoes = packing essentials. How did Sky Ting Yoga get started? Krissy: Chloe and I were teaching at the same studio in New York City. And then we started doing yoga retreats together, and we met our mentor, Nevine Michaan. We developed a blend of these different practices that we were learning from dance, vinyasa, and Katonah yoga, which is what Michaan teaches. We had a vision to open our own studio—a place that was beautifully designed, with high quality teaching, and really a platform for teachers to grow and for students to learn how to take care of themselves and have a longevity in their practice and build a community. Did you grow up traveling? Chloe: I grew up way far away from New York City, in Guam, which has a tropical, warm temperature all year round, with a warm ocean. That’s what “normal” was to me. And then when I came to New York I experienced winter, and lots of concrete everywhere all the time. Since then, it took me a few years to figure it out, but now I realize that I need to have a balance, and I need to be able to see the ocean. And like, put my feet in sand and not be surrounded by buildings and the hectic lifestyle that New York just automatically gives you, because there’s so much current running through the city, 24 hours a day. I find it super necessary to be able to go somewhere that slows me down. Because where I grew up was really slow and I wanted to get out of it, but now that I’m always fast I’m like, oh wait! I need to go back to what was slow. Krissy: I think the contrast is good too, I think it’s important to rest and restore and unplug and then when we’re in the city we feel rejuvenated. If I’m here for too long I feel like I get stagnant. So when I go away and come back, I’m always coming back with fresh ideas, I come back charged up and inspired and happy to be in my community. So it helps me with my job when I take little trips here and there and see a different culture or eat different food or swim. A journal to stay on top of it all. Do you try other yoga classes when you travel? Chloe: I love doing yoga wherever I go, a lot of times in different languages. I was just in Japan and I took the most amazing yoga class, I was so surprised by it. As New Yorkers, we’re biased because we think we have the best yoga in our city, but this guy was such a good teacher. It’s always fun to see what other people are doing in the world. Krissy: Chloe and I did a French yoga class and we didn’t know what the teacher was talking about. We were in the back and we should have been in the middle—we were in down dog most of the class, looking at no one in between our legs. But it’s fun, we felt like beginners again. 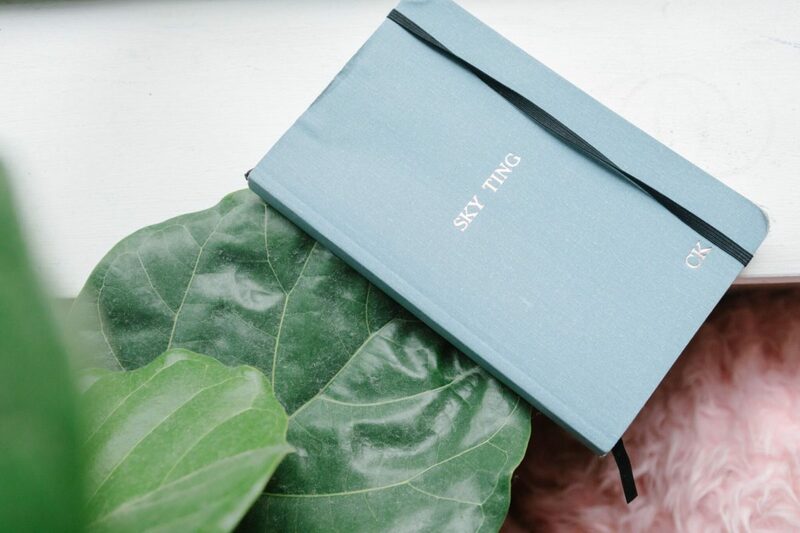 How often do you travel with Sky Ting? Krissy: We travel quite a bit, because we do a lot of yoga retreats. Ski Ting does about six a year, and Chloe and I will probably lead two of those per year. And then there’s always events that we have to do in LA or Austin or Miami, and weekend trips to see the family. So, we travel a lot. Chloe: I like to make sure that I get out of New York once a month at least. Even if it’s just going out east or going upstate, just to not be in the city. Krissy: Especially in winter, we tend to peace out. We like to go to St. Barts in the winter to see our teacher who has a house there, and that’s the most fun part of our year. Chloe: In 2018, we’ve done Marfa, Texas; Marrakesh, Morocco; a tiny island in Italy called Pantalaria; and then Spain and Majorca. Krissy: We try to go to special places that have a really great yoga center, somewhere that other yoga companies aren’t going to, so that we’re kind of different. Like, we don’t want to go to Tulum or Costa Rica, because so much yoga is there already. We want to go to places that we would actually want to travel to. So it’s a great way for Chloe and I to check off places off of our personal lists, but teach yoga as well. What are your yoga retreats like? Chloe: People often think that with yoga retreats you’ll do 24 hours of yoga a day. We do a class in the morning and a class in the evening, and make sure that there are full days just for exploration, whether that’s going on a surf trip, going on a boat, or going to the souk to shop all day. Krissy: You don’t have to do every yoga class, and also we tend to get there a few days early or extend our trip a little longer, and go to a different city to explore. If we were going to Europe, we might hit up Italy before our trip to Majorca, or something fun. What have been some of your favorite trips? Krissy: I loved when Chloe and I went to Thailand, we did a sailing retreat with The Sailing Collective. The yoga wasn’t very good because we didn’t have any props with us and we were sailing from island to island and doing beach yoga, but we would do meditations on the boat and we’d all sleep on the boat and cook together, and we all became a little family in Thailand and that was really special. Chloe: I got to do another sailing trip this past summer to Sardinia, and we took a trip from Sardinia to Corsica, which was actually a really hard sail because it was crazy winds and rough seas but getting into the harbor on a sailboat and seeing the walled city of Bonifacio was insane. It’s really fun to go all these places and experience different cultures and see all these things. Krissy: I really want to go to Cape Town, and New Zealand. I’d like to explore South America, go down to the very tip and check out Patagonia and Peru I think would be really fun. I think both of us want to go to Portugal. So we’re trying to find a really good yoga center there.